The Corynex® protein expression system is an innovative platform utilizing gram-positive Corynebacterium glutamicum bacterium. It greatly simplifies the purification process of complex recombinant proteins and improves your drug development process by reducing production costs and time to market. Bacterial and mammalian expression systems each have unique advantages. Bacteria are grown robustly, easily and at a very low cost whereas mammalian systems secrete properly-folded proteins into the cell culture supernatant. The Corynex® protein expression system delivers the best of both worlds because it offers all of these advantages within one system. 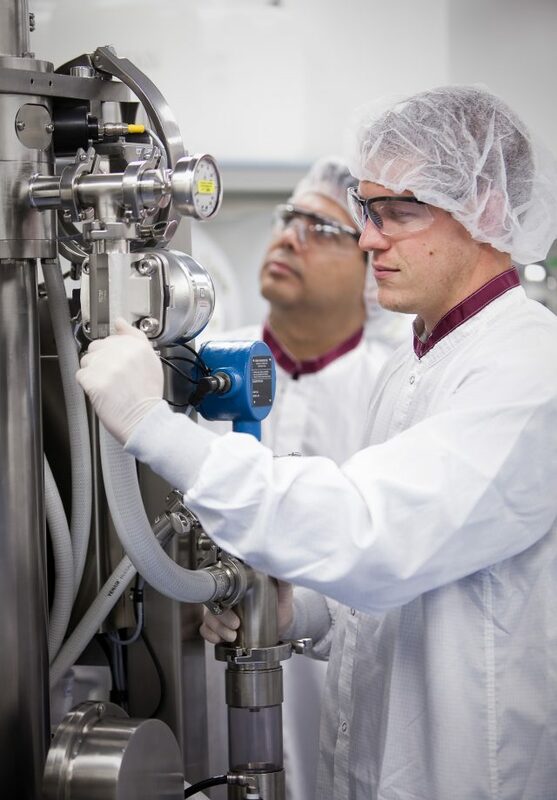 Using the Corynex® system, we can develop the production process, scale-up and manufacture your product in a cGMP environment.